Jennifer Ito joined the California Budget & Policy Center’s board of directors in 2012. She also serves on the boards of the Economic Roundtable and the Asian Pacific Environmental Network Action. 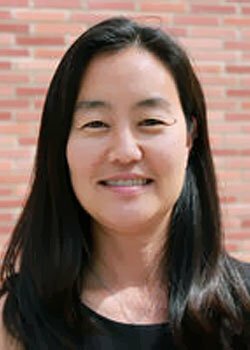 Jennifer is the Research Director at University of Southern California’s Program for Environmental and Regional Equity (PERE), where she conducts research on regional inclusion and social movement building. Before joining PERE, she worked at Strategic Concepts in Organizing and Policy Education (SCOPE), a grassroots organizing and movement-building organization in South Los Angeles. In 2009, she was appointed by the Speaker of the California Assembly to serve on the California Commission on the 21st Century Economy. In 2015, she served on the California State Controller’s Council of Economic Advisors. Jennifer holds a master’s in urban planning from the University of California, Los Angeles. I have been a fan and a user of the Budget Center’s analysis since I worked at SCOPE, so I was honored to be part of the organization. Structural tax reform so that we can put an end to the need for ballot-box budgeting. Our innovation – particularly in the leading-edge approaches to including low-income Californians in the shared prosperity of our state. Camping in any our state parks. My mother who passed away before I became a mother. My father is a rocket scientist, literally.